100% Financing Possible through City of Covington/KY Housing! Totally remodeled historic home in Covington's Westside. 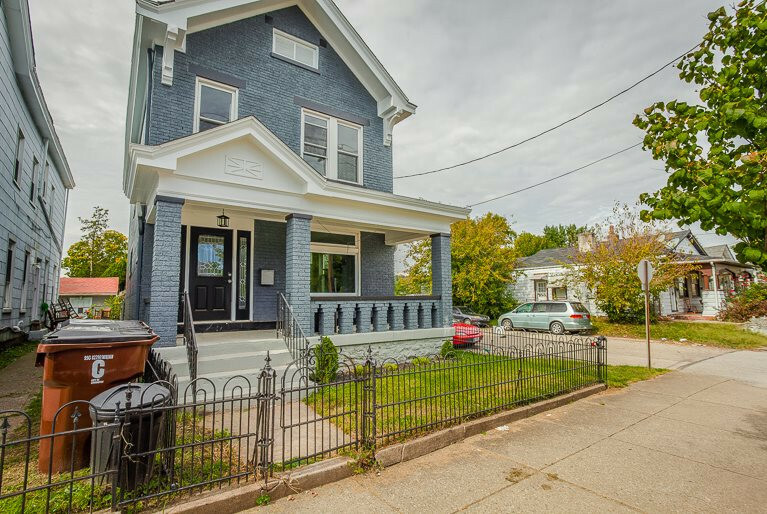 Boasting 3 bedrooms, 2 FULL bathrooms, 1 car garage, NEW roof, NEW HVAC, vinyl windows, designer lighting, and SO much more! Granite kitchen w/ white shaker soft close cabinetry, stone backsplash, and SS appliances. 1st floor laundry option. Beautiful subway tile walk in shower with granite in both bathrooms. Refinished hardwood flooring with original dual staircase. Private backyard space with fire pit. Includes 1-year home warranty from HSA.